Which beauty feature has stood the test of time? Do you know what Cleopatra, Marilyn Monroe and todays top supermodel Giselle Bundchen have in common? It's a small waist of course! It's tried and tested for centuries. It's the ONLY single beauty aspect of women that has not changed in this ever changing world of beauty. If you look at famous Rennaisance paintings, you will always see well endowed women BUT with a small waist. If you take a look at models today, they also have a very Trim and small Waistline, despite the ever changing body weight issues. I have a problem especially with my waistline - the first place that piles on all the extra weight. It's a real bummer and keeping your waistline trim is quite a difficult feat. Trust me, I know that very well by now. 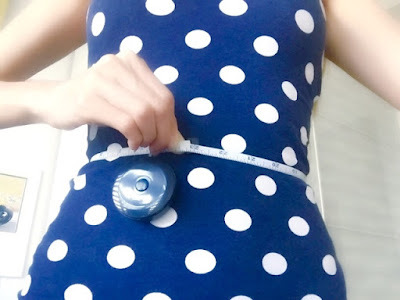 But recently, I've found a true and tested secret that will always keep your waist trim, even if you're putting on weight! I'm dead serious about it. Ever since, my waistline has been more manageable and it really does stay trim, even if I do binge on fastfood and snacks now and then. I have a serious case of a blackhole for a stomach. It's an abyss. I can really chomp down food like there is no tomorrow. Now, that is another story. Moving back to my secret. This very simple exercise is the key to a trim waist. Nothing can get easier than this. You'll see. Standing with your feet about 17-18 inches apart (slightly wider than your full shoulder width), stretch one arm straight down toward the floor, right arm trying to reach right foot and the other Left hand stretching towards the ceiling as far as you can, stop one second, press another inch, resume to starting position. Now, repeat this on your left side, left hand reaching for left foot and right hand reaching for the ceiling. After you have finished both sides, that is 1 set. Repeat 10 sets. Still standing in the same position, raise both your arms straight up over your head as far as they will go. Flex both hands at the wrists until palms are facing parallel with the ceiling. Then, slowly stretch up as far as you can, while keeping your feet firmly planted on the floor. Count 5 seconds when you're holding this stretching position. Next, try to stretch up one more inch, then relax and assume the starting position. Do this 10 times. Sit with your feet crossed, leaning on your left hand, elbow slightly bent. Raise your right arm straight up over your head with palm facing upward and stretch it as far as you can toward your left side, feeling the pull in your right waist. Hold for five seconds. Repeat on the other side of your body. After finishing on both right and left side, it's considered 1 set. Repeat 6 sets. For quick instant results, do this exercise everyday for 1 month and you will be amazed. Then, to keep that new trim waistline, do this exercise every 3-4 times a week.I love the results and so will you. A small price to pay for such a trim and beautiful waistline. In as short as 30 days and no dieting at all. What more can you ask for?